Is the lack of brand consistency diluting your business image or even worse damaging your brand’s reputation? Are you a marketing manager or business owner who’s thinking about launching your business into a new market, or maybe you’ve actually already been operating in a market for some time. If you are you will know how important brand consistency is in terms of building brand awareness, especially when you’re competing, in a highly competitive market, or you’re entering a market where you haven’t established any kind of, presence or authority. With the internet growing at such a rapid pace, and the ability to access the internet becoming more and easier through technology and communications, it’s created more opportunities for people and brands to reach markets you previously would have not been able to reach before. And do business with countries you wouldn’t have thought about doing business with before. While on the one hand, it’s great for, obviously, business growth. On the other hand, it has brought with it another set of branding challenges. So what are some of the things that you can do to ensure your brand image and the way it is represented is maintained and consistent? the amount of work that would be involved in servicing and maintaining the demand for brand assets to support dealers in marketing the brand at a local level. The consistency of how much work would be involved in terms of making sure that distributors presented their brand to the same, high standards as was expected in the UK. 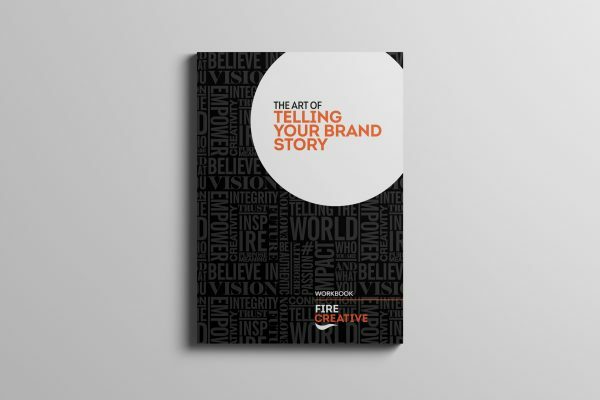 While the client already had brand guidelines for their UK market activity, they didn’t have one for the global markets. So one of the first things that we did was to create a brand guideline document. Debbie at FIRE Creative hit the ground running fully immersing herself in the brand, our product ranges and the wider company. So one of the first things that we did was to create a brand guideline document. While they already had a brand guideline for the UK market, they didn’t have one for the global market. So the first thing that we did was to review the assets that were there already and then upgrade them and bring together a global-specific brand guideline document for the distributors. The second thing that we looked at was what we call a dealer resource file, which was essentially a document that contained all the different existing brands, material, assets, marketing material, and examples of those, really to set a benchmark of what dealers in local countries and local territories could do. The third part and one of the key elements of the brief was around the way Pulse Fitness wanted to sell and position their products in the global market. This needed to be slightly different to how they were doing it in the UK. 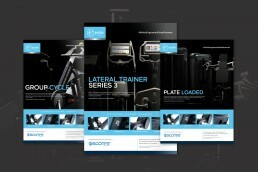 They wanted was a more product-specific marketing and advertising campaign that dealers could use to sell the fitness equipment either individually or as a group package. To build out the brand and also maintain consistency. Probably the best thing to do is pick out any one of the big global brands. You’ll see one thing that sets a lot of the big well-known brands apart is the consistency of how they use their branding. No matter whether it’s a staff member, a lorry, a shop storefront, or whatever it is, big brands set very clear standards around how their brand is presented at every different touch points. As you can see brand consistency can actually be a crucial part of helping your brand stand out in the market. So I really hope you find this useful, and obviously if you know anyone else that might find it helpful then please feel free to share it. 1) Schedule a call or book a brand discovery session here. 2) If you would like to learn more about our work with Pulse Fitness, you can access the full study here. 3) Read or watch How To Maximise Your Brand & Marketing for further insights.